Diarrhea refers to loose, watery stool that occurs for a prolonged period of time. Everyone has experienced diarrhea at some point. It is characterized by frequent visits to the toilet and an increase in the volume of stool. Symptoms usually last hours to days and then subside. However, there are cases where the condition can last for several weeks. Under normal circumstances, your colon absorbs fluids from the food you eat, and this is why stool is usually semi-solid. When a large amount of foods and beverages you consume passes too quickly through your colon, diarrhea occurs. Here is a guide on how to get rid of diarrhea. Use of over the counter medication such as bismuth subsalicylate and loperamide can help reduce the symptoms of diarrhea. 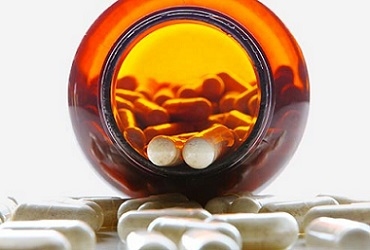 You should be cautious when taking the medication as some infections and conditions, both parasitic and bacterial, can be aggravated by these drugs. You should also consult your doctor before administering any medication to your child. Diarrhea can be caused by abdominal cramping. If this is the case, then it is important for you to soothe the cramped muscles up. You can do this by placing a heating pad over your stomach. But always use a layer of cloth to protect your skin from the heat. Ginger is an excellent alternative for treating diarrhea, abdominal pain and cramps. Ginger has properties known to soothe and regulate irritated bowels causing diarrhea. 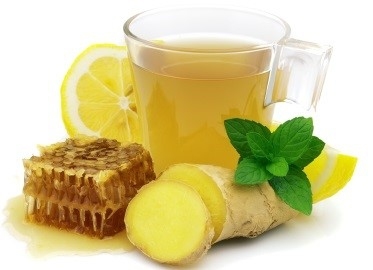 Grate some ginger and mix with honey. Eating this promote the release of gastric juices and in turn improve digestion. Do not drink water immediately after eating the mixture. You can also use ginger tea as an alternative. Take a small piece of ginger and slice it into tiny pieces (You can use powdered ginger as an alternative). Add the slices to a cup of water then boil it. Strain it and add honey. The antispasmodic properties of chamomile help reduce stomach pains and intestinal inflammation. 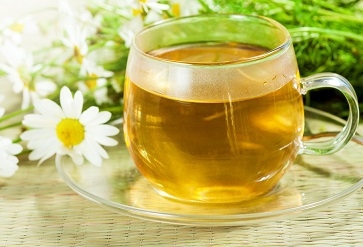 You can steep 1 teaspoon of chamomile and 1 teaspoon of peppermint in boiling water for about 10 minutes. Drink the tea several times during the day. Green tea is also a wonderful alternative as it helps with the functioning of the digestive system. If you’re wondering how to get rid of diarrhea, probiotics is a great option. They help fight germs in the digestive tract as they contain some of the healthy bacteria found in the stomach. You can get probiotic supplements at your local health store or even online. 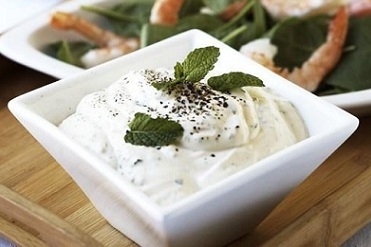 The bacteria found in probiotics can also be found in cheese and yogurt. Using the BRAT diet is one of the best home remedies for diarrhea. The term BRAT diet refers to foods that have very little acidity and contain simple sugars. 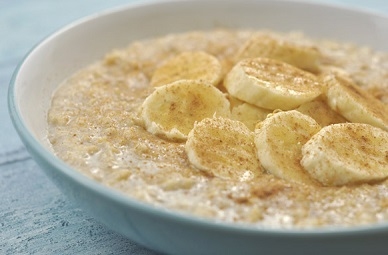 They include bananas, rice, applesauce, tea and toast. They will help soothe the intestines and alleviate your diarrhea symptoms. If the diarrhea is caused by food poisoning, you should eat burnt toast. It is believed to have the same effect as medicinal charcoal, which is used to treat severe alcohol and food poisoning in hospital. Once diarrhea has stopped, you should avoid spicy foods, alcohol, milk and fruits until 48 hours have subsided. Diarrhea increases the risk of dehydration due to the excessive shedding of body fluid. This is especially so if you are also vomiting. Take frequent sips of fluid as opposed to taking a lot at a time. You can opt for water, beef or chicken broth, sodas and other rehydration solutions. Steer clear of caffeine as it is dehydrating. Diarrhea like any illness requires that you get enough rest. This gives your body the opportunity to deal with the virus causing the diarrhea. Anxiety can also be a cause or an agitator of the problem. No matter what the causes are, rest is key to how to get rid of diarrhea fast. Sometimes, you have used all the “how to get rid of diarrhea” tips and still not feel better. At this point, you should probably see a doctor. You experience fever above 39 degrees C (102° F). Their skin doesn't flatten when pinched and released.